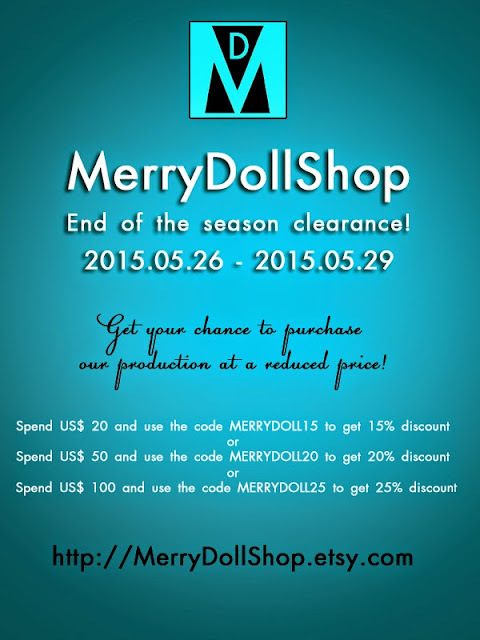 MerryDollCollections: Great discounts at our Etsy shop! We are going to our country house for summer vacation. I hope we'll be able to create many new interesting clothes and accessories for your dolls during summer. 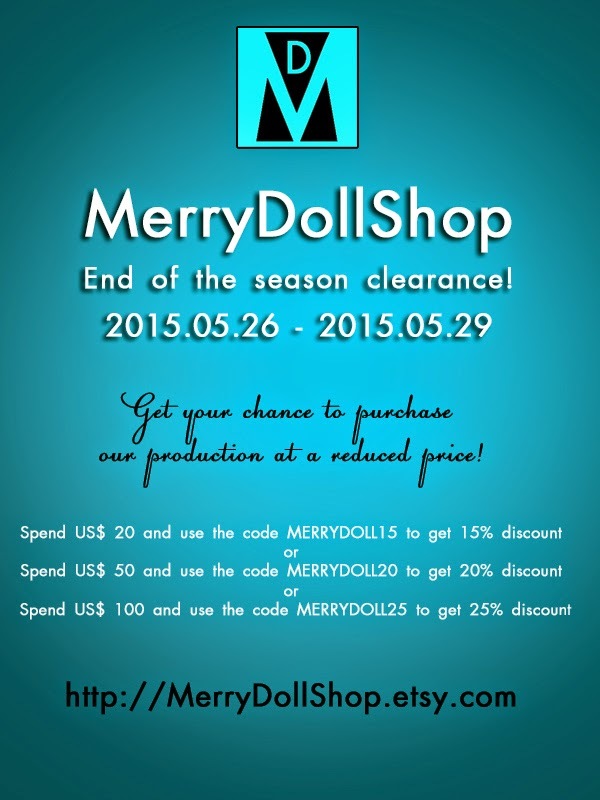 So we want to sell our older doll goods we are going to replace with the new assortment. Get our production at a discounted price!